Please vote for the East and Central Texas "Players of the Week" from the State Championship Weekend. Voting deadline is Thursday, 2:00pm. Please vote for your East and Central Texas "Players of the Week" on offense, defense and special teams. Voting deadline is Wednesday, 2:00pm. 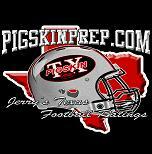 Please vote for the East and Central Texas "Players of the Week" for Week 14. Click here for the entire list of nominations.